Have you ever been misled? I surely hope not, but sadly that is not the case for many business owners when they hired an SEO Consultant. Fakers know there is good money in SEO so a lot of wannabes are looking to cash out and take you along for the ride. Hiring a fake SEO consultant can leave your business empty handed and broke. Trying to find a good reputable SEO consultant is tough in today’s market to say the least. Being able to sift through the fakes to get to the real professionals is key and is the tough part in hiring an SEO Consultant. 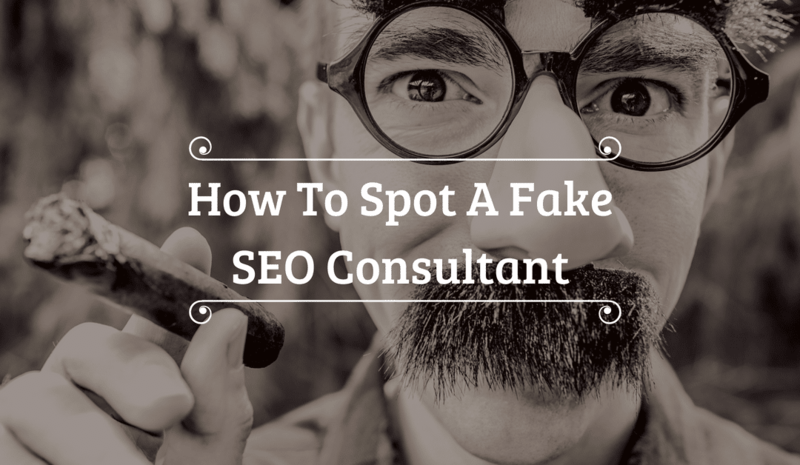 Here are 6 red flags to spot a fake SEO Consultant right away! A good SEO scammer will say upfront that they are a Google Partner. It is a great way to get your attention and IS a huge red flag for you! Now, where it gets even worse is when they entice you with the promise they have a special relationship with Google. Completely false! Always ask for proof and verification upfront. Once you receive the verification, do your due diligence and check it out. You want to make sure you have real SEO consulting professionals planning your SEO strategy for your business. A Google Partner badge means that they have passed Google Ads product certification exams. So basically it means that they are certified to sell you Google Ad products. Read more about Google Partners. Organic SEO has nothing to do with Google Ads, as you’ll learn below. As you are searching and you run across ads from SEO companies shouting “We guarantee your company to reach page one!” or “We will get you to the top in only days! If a SEO company is boasting they have a “secret ingredient” to guarantee you the highest or immediate ranking, RUN! Any company that promises immediate rankings is telling false statements only to get your business and dollars, plus leave you short of your time and cash. Rankings, especially high ones, take time, patience and a lot of effort. High rankings require full knowledge of coding and other important variables that make up the search algorithms that each search engine has in place. Also, remember that regardless of what anyone says, there is never a guarantee on how high you will rank. The best “secret” is to create a SEO Content Strategy. Here are some tips to create an SEO blog. One of the best and most underrated techniques in discovering fake SEO consultants is to study the SEO company’s own web site. When considering an SEO agency look at their website and study it hard. Is their site SEO optimized? How does it load on a mobile device? These are all things to seriously consider. Because if it doesn’t measure up let me ask you…can you trust them to do a good job for you if they haven’t done a good job of SEO optimization for themselves? The organic search results come from the index database, while Pay-Per-Clicks, Adwords, or Paid Search are based on your bid and total investment. They come from 2 different databases that are not even linked. Content is the most important ranking factor for Google. The quality of the content and keywords are extremely relevant to rank high organically. Blogging is the easiest, most cost-efficient way to boost your Organic Search Engine Optimization (SEO). Find some tips to run a successful blog for organic SEO. Looking at case studies from any reputable SEO consulting company should be no problem for them. If they have issues giving you at least one client to get a reference, then that can show you that the relationship with their clients is not good. If none of the above worked, as for other client’s reports. Having proven results from an agency will help you filter through the good and the bad companies out there. Hard evidence is hard to dispute and when a company cannot provide any of this information to you this is a major red flag. Now let’s get serious. We are talking about a professional SEO scammer. There has been a lot of fuss around this topic, mainly because in the past -like 10 years ago!- Google itself has said that they don’t look at social signals. However, what they don’t tell you is that Google ranks you based on your website’s reputation and relevancy. Google doesn’t measure how many Social Media posts with the link to your website are shared, but instead, it measures how popular your website is. Number 1: How popular you are. In other words, the reputation is measured by the amount of traffic sent to your site. That’s where the content that you share across Social Media comes into play. All those posts with links to your website help Search Engines understand what your website is about while promoting your site. Number 2: How relevant you are. This is where how much time your website visitors spend reading your content. That’s why the content on your website must be relevant to your audience. Social metrics play an important role in bringing together all other ranking factors and making them work together. For you, the search for a reputable SEO consulting firm is no laughing matter. SEO rankings are a process that takes a while to see positive results and a lot of experimentation. With all of the different search engine algorithms, achieving high SEO search rankings is not a sprint and can’t be done quickly. It takes time and effort to generate quality traffic and generate quality customer leads. 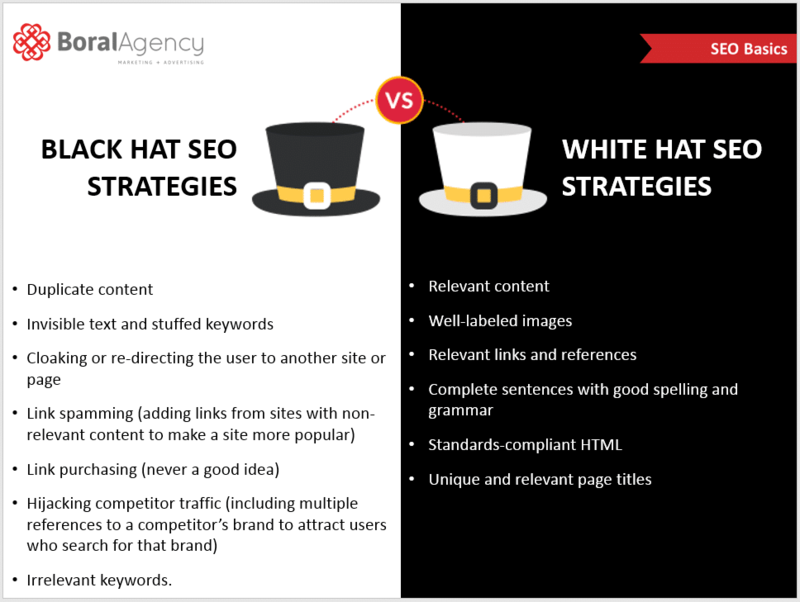 Always ask if they follow “White-Hat” SEO strategies. Keep your eyes open and beware of any company boasting promises on SEO that you know now are false. A reputable company will provide real-world studies, proven track records, answer all of your questions and be open and transparent on their process and results. And a good honest company will provide customized SEO strategies that will fit your company to the tee. We truly hope that you find this blog post helpful. To learn more about solid customized SEO Consultant strategies that can help you improve your online visibility and presence, reach out to us!